Manhattan Archives - B-Boy Productions, Inc.
November 12, 2013	by B-Boy Productions, Inc.
Those were my words to Christina of Christina D’Asaro Design the day we sat down to look at her portfolio. 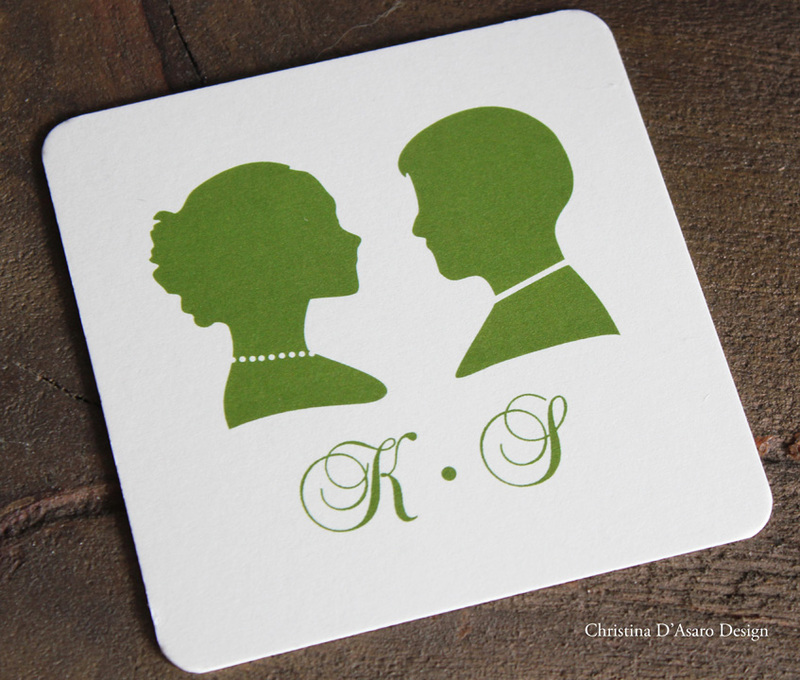 She specializes in custom paper-based products – everything from event invitations, to hand-held fans for an outdoor event, to coasters, to accordion-style programs for weddings. 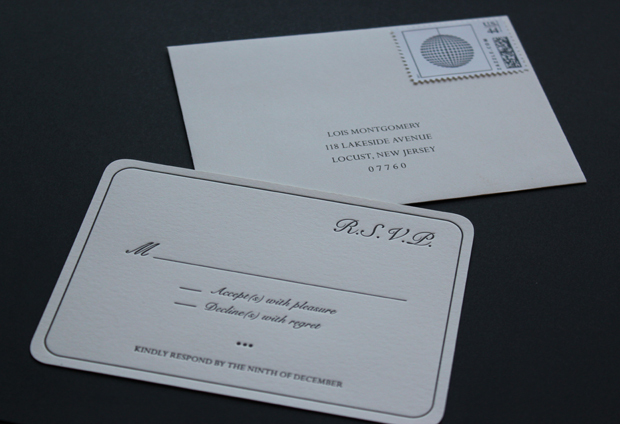 Her passion is to enable people to carry out the vision of their event from start to finish – from the second a guest receives their invitation to the moment they leave with party favors adorned with custom-printed labels. Christina has a background in Fine and Visual Arts and a B.S. in Communications from Boston University. She spent ten years helping top-tier companies effectively market and brand themselves, and then, with her love of all things paper and her years of professionalism and experience, she left to create her own design company. Christina provides personal consulting for her customers, and invests the time to get to know them well. She finds out what they care about, what they love, what they dislike, and if it’s a wedding, she gets to know the bride and groom’s story. She is then able to think outside the box, guided by the personality of her clients, to make their events come to life in ways they may not have otherwise known possible. That’s what is so special about Christina – she pays attention to what her clients love and invents new ways to showcase it. She finds what’s special and makes sure it’s emphasized. 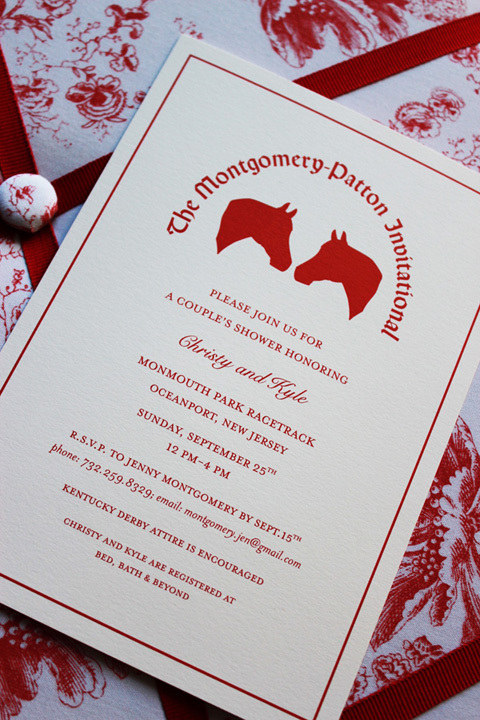 For a couple’s shower at a horse race track, she not only designed a beautiful invitation, but she also custom made bidding tickets that, instead of having horses to bid on, had trivia about the bride and groom. Far from being a formality, these unique pieces reinforced the summertime derby vibe that the couple wanted to bring to life. 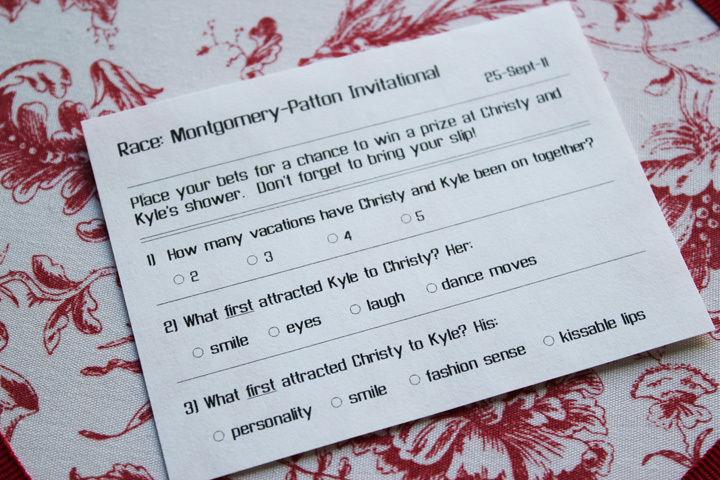 Another great example of her creative concepts are “advice cards” for a wedding that depicted various scenarios. One said “When they have their first fight as a married couple.” Another said, “When they buy their first house,” and another, “When they have their first child,” etc. 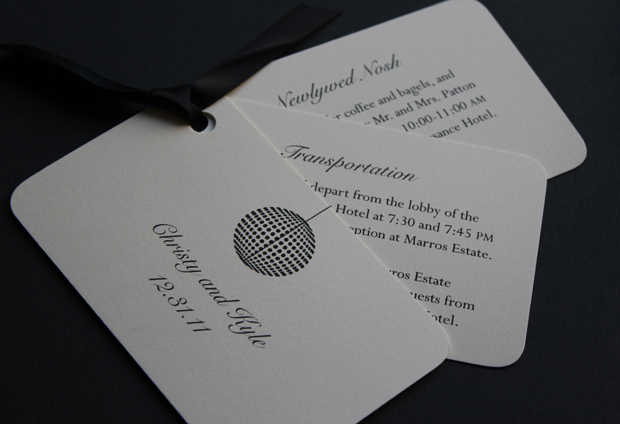 Guests could provide their piece of advice for the bride and groom, and place it in a box for the bride and groom to take with them to read and enjoy on their honeymoon. I told her how much that would change the reception – I could just see all of the guests going from table to table, trying to figure out how many different questions there were and what pieces of advice their friends and relatives gave. 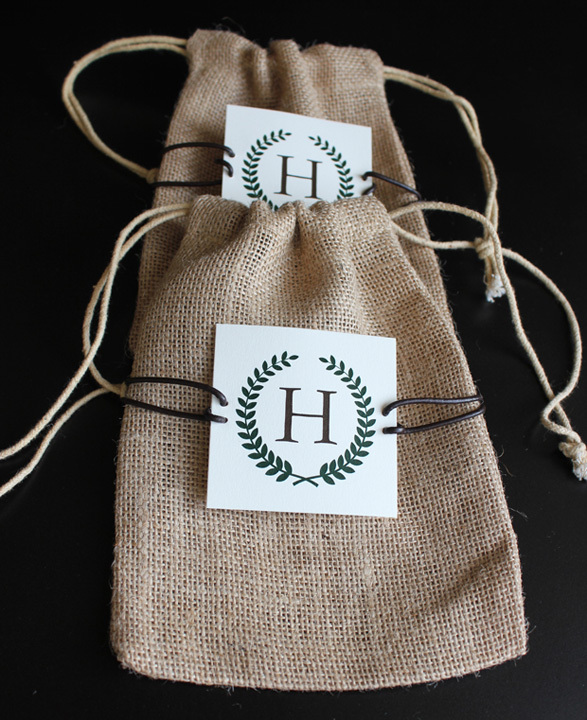 It’s these simple elements Christina creates that can add to the fun for guests and also serve as a great gift for the newlyweds. If those examples aren’t custom enough for you, she can put her fine arts background to work. 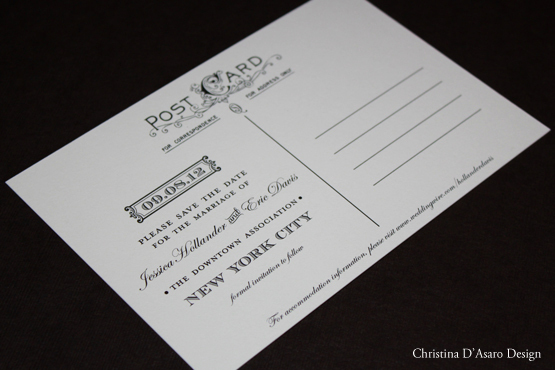 For one wedding that she did at the Bryant Park Grill, she hand-sketched the entrance and a side view of the venue. She then scaled down the one the client preferred and placed it on several pieces she created for the event. She did the same using watercolors to create safari animals for a custom photo album, given as a gift. 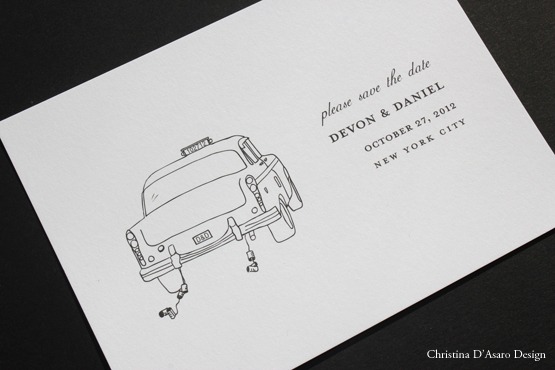 This attention to detail and willingness to go the extra mile are what set Christina D’Asaro and her designs apart. Her level of skill and level of attention to her clients are rare even on their own, but together they make her an asset to anyone who is looking for custom-designed paper goods that help tell their story. October 30, 2013	by B-Boy Productions, Inc.
“I wanted to build New York. I wanted to build something that would stand the test of time.” Robin Sokoloff – jack-of-all-trades events extraordinaire – gutted and renovated a space at 227 W 29th St, turning it into what we at BBoy believe to be one of the best new NYC venues we’ve ever come across. Robin, prior to investing in this space, spent a significant amount of time doing – well, just about everything. She has choreographed for The Atlantic Theatre School, NYSSSA School of Contemporary Dance, The Hip-Hop Dance Conservatory of New York, Students Live! on Broadway, and more. Her show “Spotlight Live” was featured on several notable news shows including “The Today Show,” “Good Morning America,” and “The Whoopi Show.” She was a producer with Multi Image Group, she graduated from NYU and NEW, and is a member of The United Brotherhood of Carpenters and Joiners of America. Clients can do anything they wish with the lighting – you can dim, turn off, or (our favorite) change the colors on each fixture to any color you wish with the simple use of a small remote. Robin joked about the simplicity: “Sometimes you just kinda feel like you need the whole room to be red, and people can do that here.” Cue the Halleluiah Chorus. She’s already hosted a myriad of events from a private party for a professional chef to a club-like fundraising party to a fireside concert complete with cozy rugs, lamps and a faux fireplace upon which guests roasted marshmallows. “People always ask me, ‘What is this space?’ and I always respond, ‘What do you want it to be?’” Robin’s biggest aspiration for the space is for people to make it their own. There’s a fifteen foot retractable movie screen, two flat screen TVs, a VIP area, a full (and fully-stocked) kitchen, fifty chairs and eight tables, and a private bathroom – all available to anyone who books the space with no extra charge. May 15, 2013	by B-Boy Productions, Inc. Your B-Boy Entertainer is the Best of the Best – Here’s Why! Written By Brian Buonassissi, Managing Partner of B-Boy Productions, Inc. 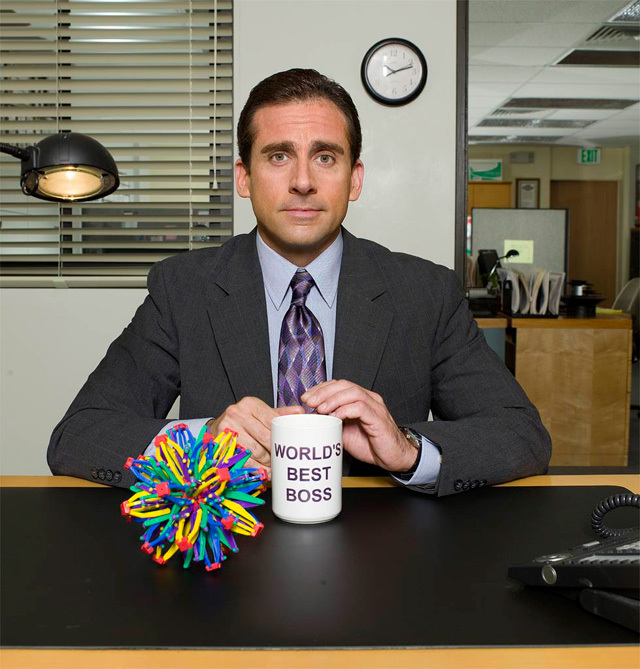 The single most important job I have on the management side of the business is making the right hires. There are other things that matter but the business is driven by the people in it and believe it or not, talent of the individual is not the first thing I look for. Here are 3 things I look for in our entertainers and why it should matter to our clients. #1: Are they customer service minded? This is the first thing I assess in a potential hire. Artists/Entertainers generally get a bad rap for being selfish and having a diva-like personality and there’s a fair amount of truth to that. However, the private event world is the epitome of the customer service business. We look for people who are willing to go the extra mile for our clients – whether that means getting to the venue earlier than required or staying at the event later if needed, adjusting to last minute changes or looking for the little things to add to the event that will make the day special. If they don’t cut it here, there’s no need to go to #2 or #3. How do we qualify this in an individual? I look for a few things. *Have they been in the service industry sector before (i.e. bartender, server, hospitality, banker, lawn care, commission based sales, etc.)? Folks who have worked in those industries know that their income and job security depend on the relationships they make with their clients/customers. Those that succeed are usually outgoing, personable, and generally well-liked. This translates well to being a private event entertainer. *Do they participate in any volunteer work and/or community service on a regular basis? This could include serving at their religious institution, animal rescue, nursing home, mentoring, tutoring, etc. This area is also critical. Giving of your time and talents says so much about an individual. It means they put others above themselves in a very visible way. It also shows me that they are good with time management because this is usually above and beyond their normal day to day schedule. Lastly, it shows me that they possess passion. That is hard to fake because if it’s not genuine, it won’t be sustainable. #2: How do they present themselves? At first glance, this may sound rather vain and you may be thinking, “You mean, you select your hires based on their looks?” Whether we want to admit it or not, looks matter – especially in the private event world. Professional photographers are constantly snapping photos at private events, some clients may hire videographers and this potential entertainer could end up on a client’s video for years to come. So yes, looks matter. But that only tells part of the story. When I interview someone who is well put together, it means that they took some time with their appearance. I’m not expecting Armani suits or salon-esque hair styling (although that wouldn’t be a bad thing), but how they look does convey to me whether or not they care. Also, these people are usually in shape. Staying in shape takes intentional time carved out of their day to exercise at the gym and eat right. It gives me more confirmation of their ability to manage their time which, again, is crucial to being an entertainer for our company. I also look to their social networking posts (i.e. Facebook, Twitter, Instagram, Vine, etc.). How are they communicating on a daily basis? Are they generally a positive person or constantly irritable and complaining? A lot of written correspondence occurs between our clients and entertainers so it’s important that I can see what their natural, everyday writing ability is like. Lastly, I listen to their speech during an interview. How do they phrase their answers? Public speaking is at least 50% of our job as an entertainer and while this can and is taught to all of our entertainers, the learning curve can be minimal if they are able to articulate themselves verbally in a concise, professional manner. #3: Would you pay a cover to watch them perform? When it comes to live musicians, this is very easy to quantify. I’m looking for something unique and special about the entertainer. We have never settled in this arena for the “status quo” private event musician. Everybody on our roster is extremely talented and the type of act you’d pay to watch. When it comes to our DJs/MCs, it’s a little different because we train them from the ground up in most cases. It’s more about seeing the potential in someone much like a team talent scout would do in evaluating an athlete. As I’ve gotten older and done this more often, I tend to pick the right ones and rarely miss. When we send the DJ/MC out completely trained (which for us takes a full year to do), our clients will feel like their money was well spent and that’s important to us. Through this post, I hope you’ve gotten a little glimpse into what goes into our hiring process. It isn’t about making the quick dollar for us. We have an extremely rigid vetting process when it comes to hires and those that we bring on, are generally with us a long time. You can be assured you’re in good hands with a B-Boy Productions, Inc. entertainer. We currently still have availability for 2013 so contact us today to book an entertainer for your event. For a complete list of our staff, go here. April 17, 2013	by B-Boy Productions, Inc. Cloud Nove Events is a full-service event planning company that provides hands-on attention to all the details of planning your special event — from helping you develop a budget, to selecting vendors, to day-of coordination services. But their services go above and beyond just “traditional” planning, and extend to elements like customized invitations, honeymoon planning, destination weddings, etiquette advisement and more. 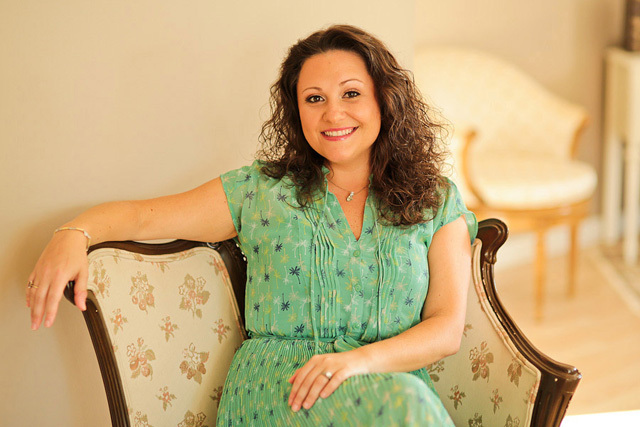 How did you get started in the event planning business and what is your background? I started Cloud Nove Events in 2009 with one goal in mind: to help as many couples as possible be stress free throughout their engagement, and most importantly, on their big day. I’ve worked with nonprofit events for over 12 years, and have experience in fine dining, directing and stage managing theater, and budget management. I knew I had a talent for pulling things together efficiently and with the most impact, and coming from a huge family I am no stranger to drama and complex relationship dynamics. Wedding planning is a natural fit for me. Where are your offices physically located and what areas do you cover for events? Do you travel upon request? The Cloud Nove Events studio is located on the south shore of Long Island in Lindenhurst, NY. The space provides a relaxed comfortable environment for us to hold consultations, meetings, and various vendor trials and tastings. We also host wedding planning guidance and education workshops and events. We serve Manhattan to Montauk! What do you love most about being an event planner? There is a moment, usually during or after the first dance, where the couple looks at each other and smiles. The nerves of the day are gone, everything has gone perfectly (or near perfectly! ), and here they are breathing a sigh of relief and just happy to be in one another’s arms. That’s a great moment. And I’m always proud to have helped in some small way to make that moment happen. One piece of advice regarding hiring an event planner? Realize you can work with an event planner for all levels of service –perhaps you just need help finding the perfect venue, or maybe you’d like someone to handle all of the details from start to finish. Many of the couples who come to me are worried that they don’t have enough time to get all of the wedding planning done. Some worry that they do not have enough resources and want help executing their vision while staying within a limited budget. No matter what the reason they come to me, I work best with couples who enjoy laughing and smiling and want the wedding planning process to be fun and enjoyable! You’re going to spend a lot of important moments with your event planner, so select someone who you trust, genuinely like, and would want to share a cup of coffee or a glass of wine with. What trends are you seeing for 2013 events/weddings? Visit the Cloud Nove website or Facebook page to learn more about how Regina and her team of professionals can help you realize your dreams for your special day! April 10, 2013	by B-Boy Productions, Inc.
It’s time to get a little more personal with the guy who started B-Boy Productions, Inc., Brian Buonassissi. 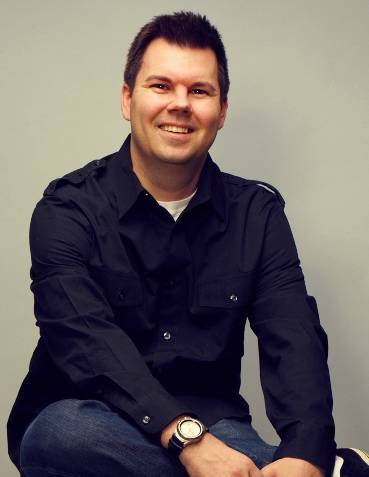 If you follow Brian’s Facebook or Twitter posts, you’ll quickly see this guy is one busy individual. If he’s not flying around the country DJ’ing some of the best private events in the US, he’s working on new podcast episodes, scouting/training new talent, remixing new music, or planning the next move for the company. We were able to snag a few minutes of his time to ask him a few questions about how he got started, what separates him from the rest, and even a few personal things. Where are you physically at today? Ha! Today I’m in NYC but I’m leaving on Thursday to take the wife on what I’m calling a “mini getaway” to run a ½ marathon in California. Don’t ask me how I convinced her to do this run because I seriously have no idea. It’s been a very busy start to 2013 so this weekend trip is definitely needed to recharge the batteries (that is, if you can call running a ½ marathon recharging). How did you get started DJ’ing? I actually started as a club DJ back in 1996 working at a restaurant in San Clemente, CA that would turn into a pseudo “dance club” after 10PM. This was a really small space (fire code maxed out at 125) but we’d squeeze in as many folks as we could. It was an open format so pretty much anything musically could be played. I might be dating myself by saying this, but I’d actually record my sets on cassette tape so I could listen to the mixes after the night was over and work on getting better. I have to thank the patrons who showed up week after week because that’s where I cut my teeth in learning how to format and really beat mix. I started DJ’ing just Saturday nights but the night got so popular that they added a 2nd night of dancing on Fridays, moving their mainstay karaoke night from Fridays to Thursdays. When did you start DJ’ing private events? My first private event was a wedding for one of the nightclub patrons. I had no idea how to structure a reception back then. It was just a more “formal” nightclub dance party. I started getting more and more requests to DJ private events, so I decided to work for a private event entertainment company for a year to really learn the ins and outs and did everything from school dances to weddings to company holiday parties. How did you get your first celebrity event? DJ’ing was initially just a weekend side job for me. My day job was working for Pioneer Electronics (a DJ hardware manufacturer). I was hired as their Marketing Manager and through that position, where I was constantly working with Hollywood execs in product placement, I ended up DJ’ing a lot of movie and TV wrap parties and it started to spread from there. I also got to work at the X Games, Disney, Virgin Records album release parties and some of the best clubs in Vegas, Miami, New York, etc. That led to private events with P Diddy, Kid Rock, Elton John, Matthew Perry, Jennifer Love Hewitt, The Los Angeles Lakers, etc. To say I had a sweet situation is an understatement. When did you branch out to FL and NY? I realized that the corporate life was not for me (at least at that time). I wanted to run my own business and build something that had my personal stamp on it. In 2006, I went to FL to be the headlining DJ at the largest nightclub in the panhandle (they would average 1,800-2,000 patrons a night) and had my own live radio mixshow that was mixed straight from the club. I did that for 6 months and the phone calls were pouring in to have me DJ private parties. So after a year DJ’ing in the club scene in Florida, I stopped to focus on private events exclusively in both the California and Florida markets and even some “one-off events” in various spots throughout the country. No one in the local Florida area was DJ’ing private events the way I was DJ’ing them. The demand was growing so quickly that we started hiring/training entertainers to fill the requests. We built a strong presence and became the “go to” entertainment company in the area. Looking back on it now, I feel like we really changed the game there. We always trained from the ground up and now a few of the guys we trained have gone on and done their own thing in the panhandle. While some could look at it like they are now my competition, with what I am doing and seeing in the bigger markets combined with the amount of training we do with our guys and national industry shows we attend, it keeps us ahead of the curve with what we bring to local panhandle market. Plus as a result of what I started in the area and having trained a lot of those guys personally, it only helps elevate the industry as a whole and gives even more clients the ability to experience quality entertainment even if they don’t go with us. NY came about because that is where the best of the best are in the entertainment field. CA and FL from a management side were built to be self-sufficient. I felt like I had maxed out with what I could do in the Florida market from a personal standpoint of DJ’ing and I wanted to push the envelope. I had DJ’d a handful of events in NY over the years and there is nothing else like them. The diversity and musical knowledge that NY crowds have are unlike any other. So with relatively little contacts, we decided to venture out and give it a shot. NY is a city that generally takes time to develop your business. But every now and then, if you get that one shot with the right person, it can be a game changer. We’re ready either way the chips fall! How would you describe your DJ’ing style? Musically, it generally is a hybrid of retro, current top 40, and progressive music all in one. I love weaving in and out of all kinds of genres and putting things together that you just wouldn’t think would work but just do. It’s always makes me smile when I see a 40-50 year old wedding guest dancing to some Avicii or Zedd and they are truly into it! It’s gotta be mixed in at exactly the right time and you can only know how and when to drop tracks like that with experience. As far as overall entertainment experience, 80% is the music and 20% of it is the MC’ing when it comes to my shows. Too many private event DJs rely so much on the MC’ing that they let the music stuff slide. I think that’s so unfortunate and I cringe whenever I see it happen live. What makes you different than the rest? I get this question a lot and it’s always such a tough thing to put into words. My live shows have to be experienced to really get a full understanding. I am able to walk into pretty much any room and quickly assess what the pulse of the crowd is and give them the best party of their life. I’ve done every type of ethnic party and party type (school dance, weddings, corporate parties, etc.) imaginable and have DJ’d all across the US so I know what will work to make the party come alive no matter where I’m at. It may sound like I’m bragging but I can’t even begin to tell you how many clients have said after almost every event, “You are the best (private event) DJ I’ve ever seen.” I, of course, feel honored but it’s a testament to all the hours I put into my craft. I spend countless hours (and a ton of late nights) finding or making my own edits of the best tracks out there and am always honing my MC chops to give my clients the finest entertainment experience I can within the 4-6 hours I’m with them. What’s your favorite part of DJ’ing? It might sound cheesy, but I feel like I’m making a difference in the lives of people when I’m DJ’ing. Music is the universal language. No matter what baggage people may walk into the room with, I can usually make them forget about it and more often than not, music is the perfect remedy. For weddings, it is probably that couple’s most important day they’ll ever have. To know that they’ve entrusted me with it still gives me goose bumps every time I get behind the decks. I love that what I do is making an impact in the lives of my clients. Where do you see B-Boy going next? Right now, our focus is in NY – really making a name for ourselves in the Manhattan area. Our other divisions in CA and FL continue to flourish and I do personally go back and DJ some of the elite parties there. We have a desire to launch 2 more regional locations – one in Chicago and one in Hawaii. While that is the plan, I’ve learned that nothing is set in stone in this business. You have to be willing to go where the winds are taking you. What are your hobbies? What do you like to do outside of work? I’m a huge LA sports guy so I love watching Lakers or Dodger games (in person or TV). I’m also an avid reader and try to knock out 2 or 3 books a month. One of my other passions is travel, which makes DJ’ing across the country a way to take advantage of that. I also love serving in the local church. It feels great to give my time and money to things that I know have eternal impact. This might be the most cliché answer ever but truly my favorite thing to do is spend time with the wife. Of course, if it includes the stuff above, I’d be in heaven. But, honestly it doesn’t really matter as long as she’s in the equation. She’s put her life on hold to see me realize my dreams and she’ll never know how much that means to me. Favorite Season? ALL – Fall in Florida, Summer in California, Winter in NYC and Spring in all 3! Favorite food? It has to be a filet. Favorite things about NY? Diversity, food, culture and driven work ethic. Favorite Airport? It’s a toss-up between CLT (Charlotte) and SNA (Orange County, Calif). Favorite place to vacation: Still working on that one. Anything beachy with little to zero humidity, great amenities and wifi! Favorite book you’ve read this past year? Unbroken by Lauren Hillenbrand – it will make your worst day not seem so bad. Favorite Movie: I love comedies so anything with Vince Vaughn, Will Ferrell, Seth Rogen, Paul Rudd or Steve Carell in it. Favorite Musical Artist? I’d have to go with Michael Jackson. His stuff will always be timeless. Favorite Private Event? It would have to be working a bat mitzvah a few years ago for the President of CBS’ daughter at the Four Seasons Restaurant in NYC. They pulled out all the stops for this. Never seen anything like it.